Here’s a list of some of 7 of the most damaging foods and eating habits that damage teeth, smiles and dental work. These include soda, tea, and coffee. These drinks can damage teeth in 3 ways. First, they can stain teeth. Second, when they contain sugar, they leave a sugar residue on your teeth, which in turn can encourage bacteria, making teeth more susceptible to cavities. Lastly, the bacteria that mixes with the sugar creates an acid that can wear away enamel. At a minimum, rinse your mouth out with water after drinking these beverages – but brush & floss if you can. Chewing ice is incredibly destructive and puts an incredible amount of strain on teeth and dental work. Most people know Dr. Emery has a sweet tooth, but she encourages her patients to stay away from sour candies, or hard, sticky ones. 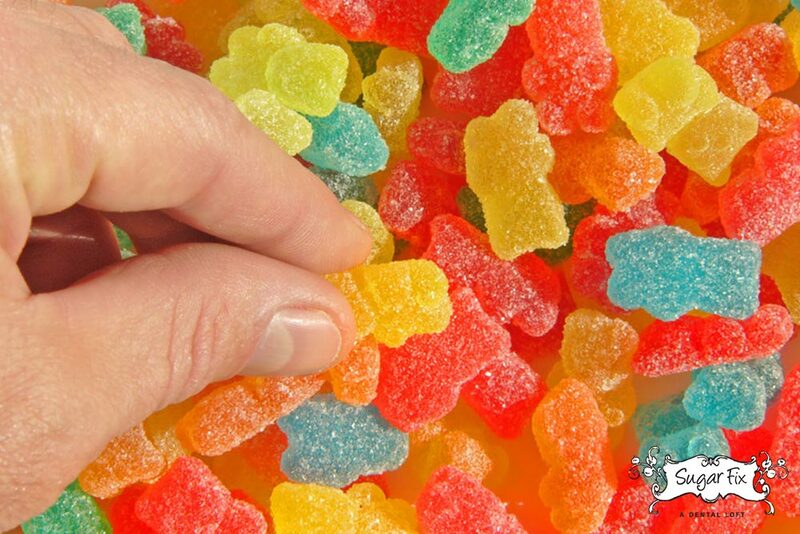 Sour candies have a very high acidic content. Acid breaks down enamel. Hard and sticky candies can pull out fillings and crowns. Once the water has been removed, all that remains is the highly acidic, sticky fruit pieces. Think of anything that would that will stain a white t-shirt. Berries, beets, and kale are healthy, but you really should be careful to rinse or brush afterwards. Using teeth as a tool to open or grip objects..
Teeth are intended to chew food, and are not a third hand or tool. Enamel is actually soft and will lose in a battle with most hard objects: metal, plastics, bottle tops,etc. Proven to weaken teeth and lead to oral (or other) cancer.